The Montreal Canadiens have traded defenceman P.K. Subban to the Nashville Predators for defenceman Shea Weber. The deal went down on Wednesday. This is one of those rare player-for-player blockbuster deals and there were some rumblings of the Habs trying to move their top blueliner, but the trade is kind of hard to take on a number of levels. For one, there’s the practical side. Subban is four years younger than Weber, who will turn 31 in August. The former Predators captain has 10 years to go on his contract, while Subban has six remaining on his. Statistically, Subban has been on the rise over the last years while Weber is a blueliner on the decline. The former Canadien eclipses Weber in nearly ever category of note for a defenceman and makes more plays with the puck per minute than any NHLer. What’s more, Subban’s impact in Montreal has been undeniable and many fans imagined him as a franchise player. He made no bones about his affection for the city and the franchise. 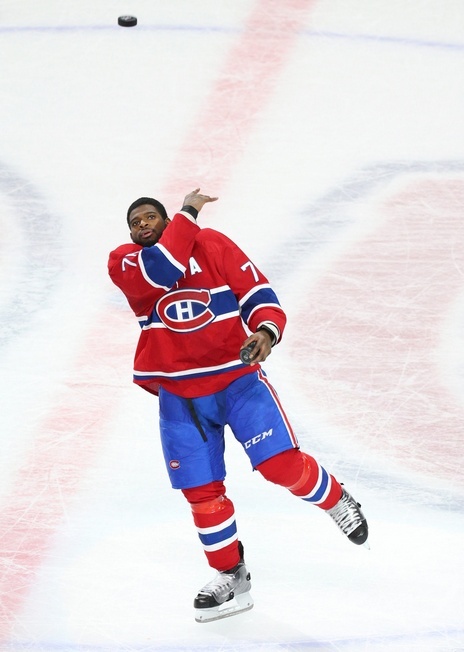 Subban was selected 43rd overall by the Canadiens in the 2007 NHL Entry Draft. He has 278 points in 434 career regular season games. He carries a salary cap charge of $9 million through the 2021-2022 season and has a no-movement clause that will go into effect on Friday. Weber was selected 49th overall by the Predators in the 2003 NHL Entry Draft. The Sicamous native has 443 points in 763 career games and owns one of the heaviest shots in the league. He’s a solidifying presence and should give the Canadiens the leadership they’ve been seeking, but they sure paid a heavy price for it. There is another interesting layer here that actually draws the Philadelphia Flyers into the mix. Weber’s current deal, the 14-year one worth $110 million, was one he signed as an offer sheet from Paul Holmgren and the Flyers. The Predators matched the front-loaded contract, something the Flyers were not expecting, and Weber was set to make just $6 million over the last four years of the deal. There is a salary cap recapture penalty involved here that puts the Canadiens on the hook for some of it when Weber retires, even as the Predators will have to also pony up some green for the monstrous Holmgren-influenced deal. But in effect, they’ve been able to offset some of the damages by making this trade. This is, to put it mildly, a shocker. While the Habs are certainly getting a quality player and leader, this is one of those trades that will be talked about for a long time. Subban is no longer a Montreal Canadiens. And frankly, that hurts a little.